"Over the last two days, 19 provincial cabinet ministers and First Nations Chiefs from across Ontario gathered for the annual Leaders in the Legislature event to discuss joint priorities regarding First Nations issues and opportunities. 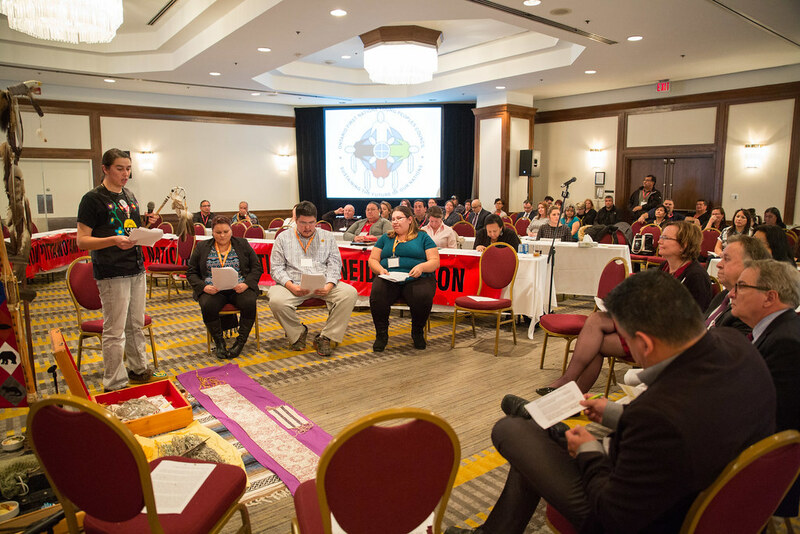 Building on the Political Accord and its principles, this unique event, hosted by the Chiefs of Ontario, featured a series of roundtables for First Nations leaders and Ontario Cabinet Ministers. It provided an opportunity to move forward on priorities such as children and youth, economic development, education, environment, health and justice. We are greatly encouraged by the positive actions and commitment made during the youth symposium hosted by the Ontario First Nations Young Peoples Council (OFNYPC). Youth member Jeremy Moonias from Sandy Lake said it was heartwarming to have so many people listen to their concerns and asked Tracy MacCharles, Minister of Children and Youth Services, to commit to a yearly meeting with the OFNYPC. Minister MacCharles readily agreed to meet with the Youth Council and to ensure that First Nations children and youth continue to have a voice on an ongoing basis within her ministry. We know that by strengthening our collaborative relationships, we will be able to achieve real progress in developing strategic, integrated Aboriginal policies and initiatives across government that will lead to improved outcomes for First Nations peoples, new partnerships and expanded opportunities for First Nations communities. The strong presence of Ontario cabinet ministers and First Nations Chiefs and representatives at this event reflects the importance we have placed on building and strengthening our government-to-government relationship and represents another step forward in the spirit of a renewed partnership and reconciliation." This document was published on November 27, 2015 and is provided for archival and research purposes.